Petunia has been proudly owned by Chuck Paine of Tenants Harbor, Maine for the last 30 years. Chuck is a well known yacht designer and artist, and his work graced the cover of version 1 of this registry. He bought her in 1972 from Bernard Smith of North Haven. Her name at that time was Bassinet. 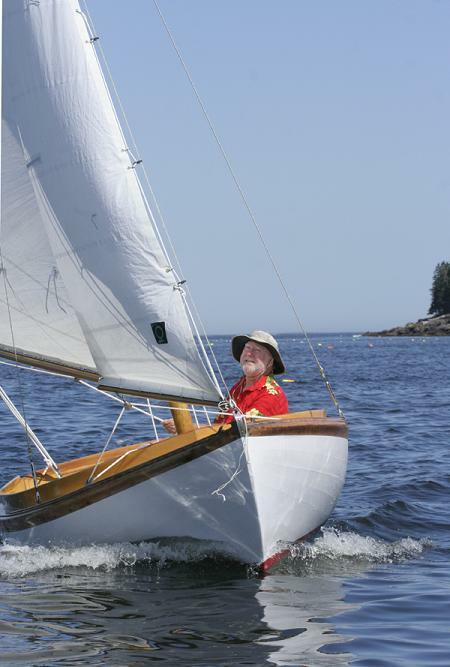 He had bought her as an investment when the Dark Harbor (Islesboro) fleet broke up, because the millionaire owners got tired of the expense of maintaining their boats. Chuck paid $1350 for her, and Bernard thought he'd bested a young city slicker on the deal. Chuck says he “will never part with her at any price except by divine intervention”.